Building our visions of being an honest, caring and efficient business, Nodens Solutions Pte Ltd develops ideas, and promises results that add value to your business. Although the company is considered 'young', it is no novice in the industry. The driving force behind the company's core operations and strategies lies in the experience, skills and knowledge of our team members. Nodens Solutions Pte Ltd comprise of members who together form a team with years of experience, projects and 'know-how' behind them - this is Nodens' biggest asset, which in turn, can be your prime gain. They each carry with them an abundance of understanding and familiarity in the field of information technology, computer science, business systems, global networks and Internet business. Nodens Solutions Pty Ltd continues the tradition with its presence in Melbourne, Australia incorporated in February 2019. Call us today to discover what opportunities are in store for your business. 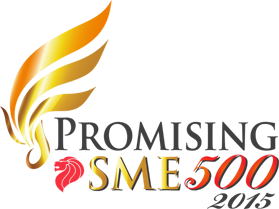 Nodens Solutions received Promising SME 500 2015 award in Singapore.